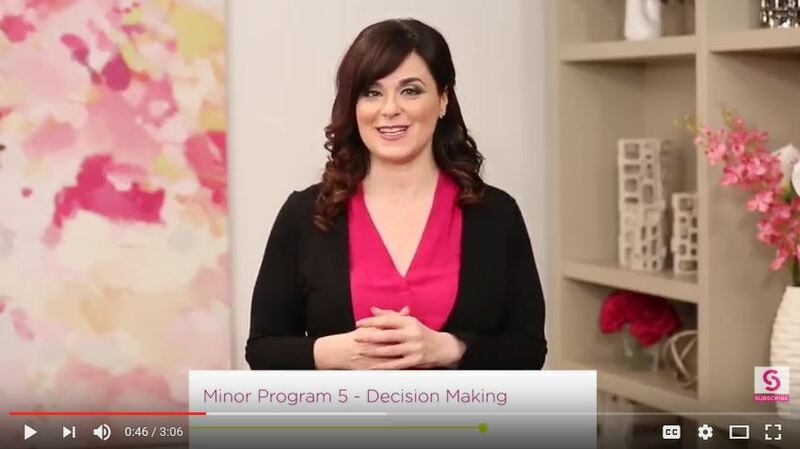 In this 3 hours program, you will learn to use 3 of the 15 emotional intelligence competencies as we talk about Problem Solving, Reality Testing, and Impulse Control. When someone is strong in decision making, they do their research and gather the facts first, weighing the pros and cons when necessary. They are able to use a systematic approach to problem solving, and apply emotional information to help, not hurt the process. This helps you avoid making irrational decisions and jumping to decisions that don’t always have a positive outcome, or can negatively impact others. • Generate a plan for self-development using the 3 core competencies of the Decision Making Composite Scale – Problem Solving, Reality Testing, and Impulse Control. Carolyn Stern specializes in helping professionals get unstuck, maximize their potential and achieve more. She is a successful entrepreneur, self-development professional, author, university professor, corporate trainer and coach, and Certified Emotional Intelligence Facilitator/Instructor. Her focus and passion has been on integrating emotional intelligence, leadership, and personal development, thereby empowering professionals to have the courage to get out of their own way, to live the life they have always wanted to, and to be the best version of themselves. Carolyn is a popular guest speaker at seminars, conferences and retreats. • Both registration and payment are required for every person accessing this course. You must log in using your CPHR BC & Yukon login and password to receive member pricing.